The advent of digital music production has rendered music production affordable and easy. No doubt , our burgeoning music industry has witnessed the sprouting up of a plethora of record labels both major scale and indie scale. Artists are often lured into inking record deals as this often comes with the splendour of accomplishing their dreams to churn out chart-topping hits, sealing performance deals, bagging endorsements etc . Signing record deals require utter caution and discernment. Don’t get carried by the upfront signing bonuses you receive from the label and think you are already succeeding. That might sometimes be a facade to ensnare your career. When you get signed, some labels give you an advance fund to buy clothes , your upkeep , rent a house or even buy a car . Don’t be fooled. This money is just part of their investment budget to be recouped when you start selling records, getting performance deals or endorsement. The label takes into consideration all its expenses like promotion fees , recording session payments , video shoot payments and branding. That’s why when an artist is no longer making commercially appealing music, the label gets frustrated . Anyway, we have exceptional cases where “Ngess men” create labels just to garner fame, get the girls and don’t really care about the profit margin. No stakes . 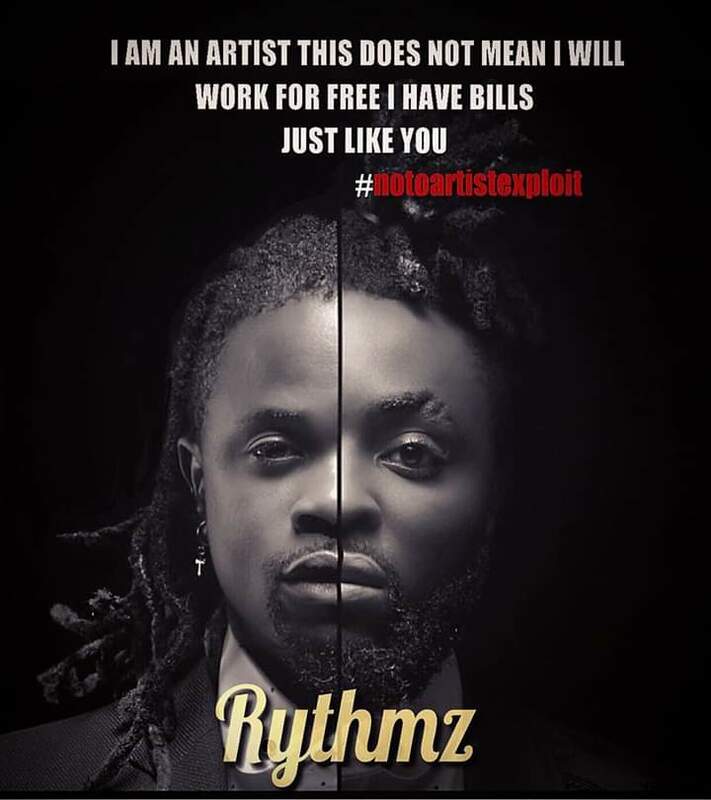 The failure to gauge the terms of the contract and how it will affect your career is usually a pitfall for many Cameroonian artists . Most of these deals are signed by artists without consulting a lawyer for professional legal advice and the outcome has been overly ruinous. You get yourself screwed and handcuffed in a dungeon . Getting a legal practitioner is a preemtive tactic against ruthless record label owners . Some artists are under labels based on friendship without formal contracts under the pretext of “just cam make we di work, we see how e go be ” or some informal pronouncements and engagements. Over the years, artists have been severing ties with their record labels and we’ve been trying to decipher the reasons for their unprecedented exit . Signing a deal is quite challenging. You are compelled to write hit songs, sometimes your creative direction is swerved . You hear things like “You have to sound a little like Daphne or write the Calee kind of song ” , “Write a song with French lines ” , “I’m not feeling the song at all” etc . What about doing a song you think is good enough to make a groundbreaking hit and the label decides to keep it in the computer without releasing it for years or you drop a song and it’s not getting any promotion . Quite frustrating for the artist right ? The phenomenon of labels keeping your song without releasing it has been highly debatable. Artists in EU countries are even proposing the ” use-it-or-lose-it” clause in record deals which means if a label is not making a song available to the public, the label returns the song to the artist. Most artists fall prey to the whims and caprices of label owners simply because they are ignorant . Some other artists them di enter shock so, na over sabi. Before signing a record deal , artists should be aware of some basic elements of a typical recording contract. – The term of the contract. This simply means how long the contract will last. This is determined by the record label depending on how many albums you’ll be recording. But I’ll advice Artists not to sign for more than one year. Could be renewable. By limiting it to one year, you prevent the label from effectively controlling your life and creative direction for an unreasonable duration . Keep your options open. One never knows the future. -The territory. This refers to the geographical area the label is allowed to sell your music. -Exclusivity. This gives the label exclusive right to all the artists recorded performances in video and audio during the term of the contract. – Artist royalties and mechanical royalties . Artist royalties are paid to the artist for his recorded performances while mechanical royalties are paid to the songwriters/publishers of the songs. Artists need to know that the contract has to specify a certain percentage to be paid to them each time he is booked for a gig or gets an endorsement. These details need to be well spelled out to eschew the embarrassment and injury . – All Recording , video and promotion costs shall be covered by the label . Why am I saying all these ? After signing a deal with Universal Records Africa November 2017, we have witnessed Tenor’s relevance and fame dwindling after he had established a fan lovemark with hits. Locko who also signed to the same label last year is now pining and wanting himself out of the label . He even posted on Facebook a week ago that he’s thinking of quitting music . Infact, label fit give you high blood when you sign blindly . Glancing through my Facebook timeline , a post of Phillbill decrying exploitation in the music industry caught my attention . Phillbill is an ace songwriter, producer and singer whom in my humble opinion enormously contributed to the success and bliss Pit Bacardi is currently basking in. 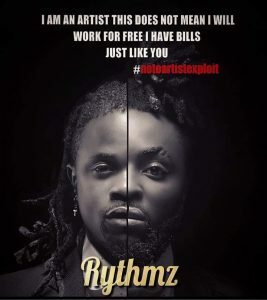 He was supposed to sign a dual contract with different clauses with the label as (Dianee) of Rythmz , the singer and as his alter ego Phillbill , the music producer and songwriter. In this light , Phillbill was supposed to earn both artist and mechanical royalties from the label. I’m sure he hasn’t been paid for all the instrumentals he’s been producing for Empire Company till the recent POWER project. Since a label is normally supposed to pay for all record production costs , I believe Pit Bacardi was to pay Phillbill upfront for every song he produces and pay Kezzy for every song he mixes and masters under the label. Some record deals turn you into a slave . If you fetish being signed by a label, please be wise.